I have long dreamed of creating a truly magical deck and the Vintage Wisdom Oracle is the fruit of a very unplanned creative journey. The extraordinary story of how it came into being is contained within the guidebook. 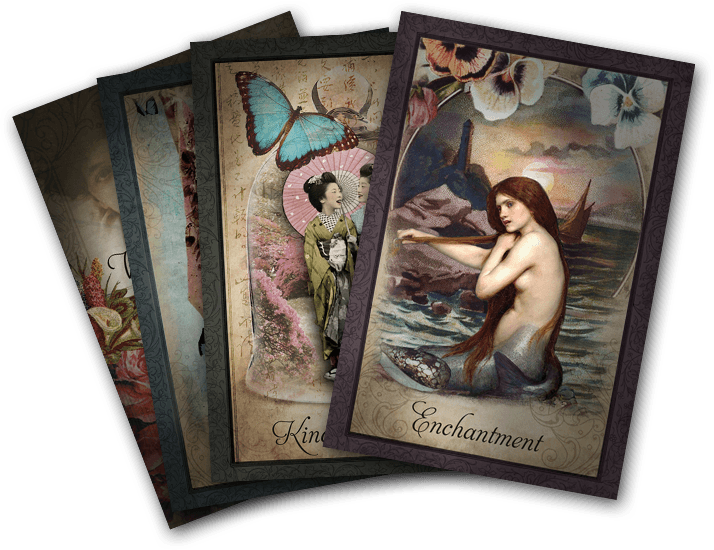 This deck was not created for ‘fortune telling’ per se, and to those of you who love typically ‘New Age’ style decks – alas, you will not find a unicorn or a pentagram in sight! The limelight belongs solely to these beautiful muses found in antique photographs, postcards and paintings, which combine to convey their own unique messages and awaken intuition. Additionally, layer upon subtle layer of symbolic detail has been woven into my designs in the form of shamanic nature totems, references to the healing power of colour and Floriography – the language of flowers and their meanings. Each unique spread offers vital clues and inspirations to guide the reader toward a deeper understanding of their current life-picture and the unseen forces, which may be influencing it. 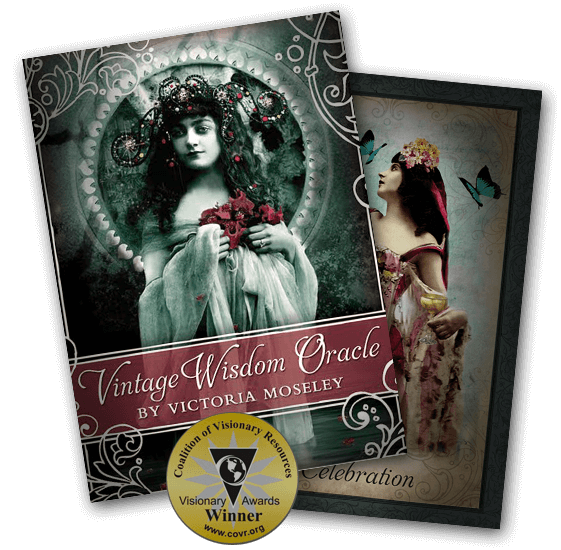 The Vintage Wisdom Oracle is inspired by the feminine psyche and its purpose is empower the reader through heightened awareness and to nurture a deeper sense of peace, compassion and wholeness.